When a marriage lasts nearly half a century, presumably the partners have figured out a way to romp in the garden without stomping on the flowers. But because every spring blasts new growth, who can predict what seasonal surprises lurk in the soil? 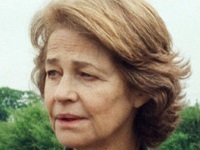 In the case of Kate Mercer (Charlotte Rampling) and her husband Geoff (Tom Courtenay), the protagonists in 45 Years, it’s not the earth that yields those secrets. It’s ice. 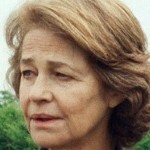 Written and directed by Andrew Haigh, and based on David Constantine’s short story “In Another Country,” the movie, set in the rural English countryside, begins on a jubilant note. Kate is tending to the pleasurable details of the couple’s imminent 45th wedding-anniversary party. However, Geoff has just received an official letter from Switzerland to inform him that the body of his long-ago German girlfriend Katya – she had suffered a fatal fall during their Alpine hike several decades earlier – has been recovered, perfectly preserved and frozen in a glacier. Talk about a poorly timed anniversary gift. The bright, shiny quality of this female corpse, with her Venusian beauty gloriously intact, is an out-of-left-field challenge for this childless couple who have a stable and seemingly balanced relationship. Revelations about the depth of the ties between Geoff and Katya – she had designated Geoff as her next of kin – stun Kate, especially the news that Katya was clearly the woman Geoff would have married. Thrown into an Inquisition-like mode, Kate questions whether she, throughout the duration of her union with Geoff, has been “enough” for him, or merely a second choice. “Kate” is just a few alphabet letters short of “Katya,” after all. Archetypal Saturn – whose bailiwick is self-esteem, fear, longevity, commitment, security, tradition and predictability – also enters the fray. Kate’s marriage has helped define her. Now, however, in the shadow of Geoff’s past love, Kate’s no longer sure who she is to herself and to her husband. In sharp contrast with the newly externalized Katya, Kate internalizes the roiling energy inside her. This is a fire-and-ice movie which gets more intensely elemental as it moves along. With its tasty soundtrack of period-appropriate music enjoyed over decades by the couple, 45 Years arguably makes the best use of the Platters’ chestnut “Smoke Gets in Your Eyes,” which suggests that the obliteration or blurring of a disturbing new fissure may be the only way to ensure the most benign outcome. Archetype: Marriage. Self-Worth. Identity. Secrets. Betrayal.